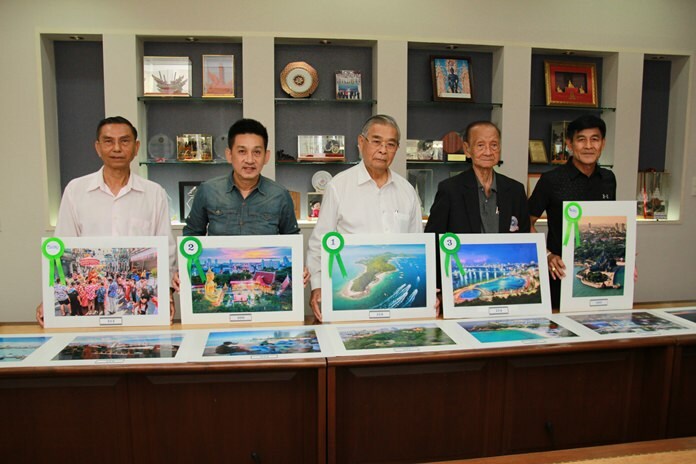 (L to R) Professor Songkram Phowilai, Wanchai Suebsaman, Sawat Pathinpanprasert, Professor Saman Chetrakarn, and Pisit Senanansakul, the honorary judges pose with the winning photos. Creative images of Koh Larn, Pratamnak Hill and Bali Hai Pier won the top prizes in the 150,000-baht “Charm of Pattaya” photo contest. Sawat Pathinpanprasert, president of the Photography Association of Thailand, Professor Songkram Phowilai, art photographer Pisit Senanansakul and Wanchai Suebsamam chose three winners and 20 honorable mentions from the 332 photographs submitted for the competition. 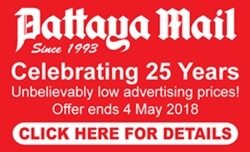 The objective of the contest was to highlight Pattaya’s attractions, culture and nature for the world. The contest was open to everyone regardless of nationality, age or gender. Judges graded the photos on creativity, tradition and composition and awarded prizes for each. Sanchai Buasrong won the 50,000-baht first-place prize for an aerial shot of Koh Larn showing a lot of detail of the resort islands nature and attractions. Second place and 30,000 baht went to Pollaklit Tithiritthinan for his “Land of Tradition” photo of Pratamnak Hill. Thanawat Thongchan won 20,000 baht for his shot of Bali Hai Pier he called “Pattaya by Night”. Twenty other photographers received 2,000 baht as honorable mention prizes. 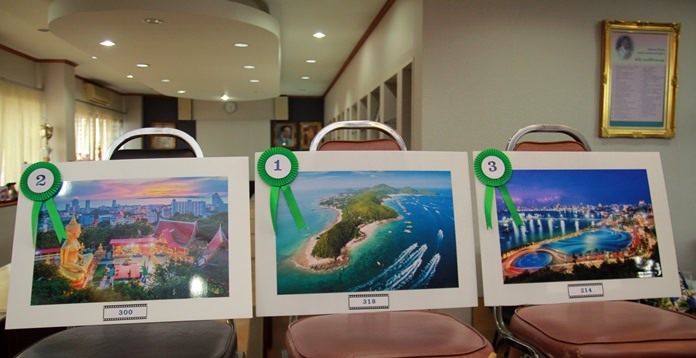 The winning photo called “Go To Koh Larn” (center) with second place “Land of Tradition” and third place “Pattaya by Night”.